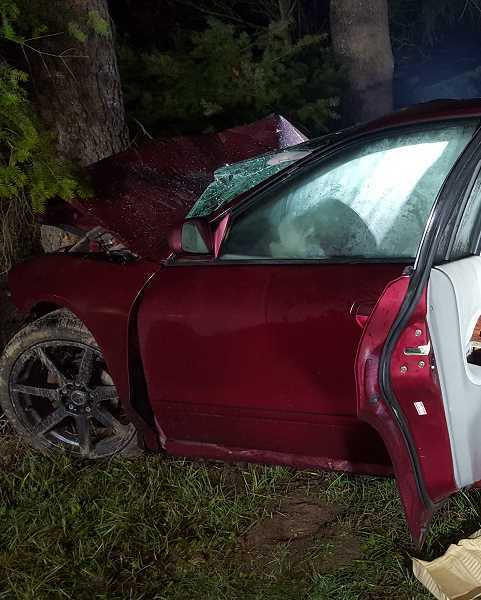 A Woodburn man has died and three others are in the hospital following an early morning crash. Around 1:20 a.m. Friday, Dec. 21, first responders were dispatched to Hgihway 211 near South Palmer Road in Clackamas County on a report of a southbound Mitsubishi Gallant having hit a tree by the road. No other vehicles were involved. A passenger, Osiel Ancelmo Miguel, 26, died at the scene from injuries. The driver, Alejandra Bartolo, 23, and passenger Arturo Bartolo Aparicio, 21, were transported by ambulance to OHSU for treatment of injuries. Gonzalo Rodriguez-Alvarez, 24, was transported to the hospital by Life Flight. All four are Woodburn residents.